From the pick, to the roll, to the pass, to the finish — stylistically, this play is extremely reminiscent of some of the very best highlights of Amare Stoudemire’s career. The actual dunk is nothing overly spectacular — certainly not on the level of his famous smash over Michael Olowokandi — but it’s still a pleasure to see even a hint of vintage Amare from time to time. Pablo Prigioni came through with a solid Steve Nash impersonation as well with the slick little pocket pass. 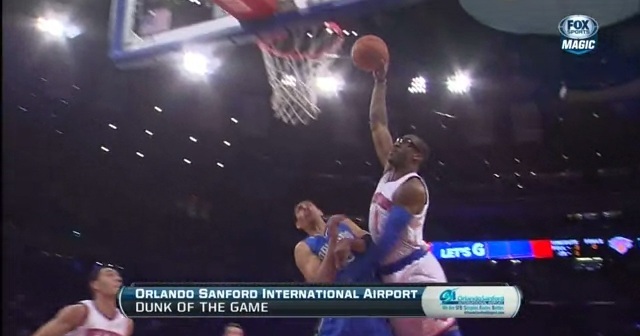 Honorable mention to Danilo Gallinari, who sort of dunked on Greg Smith but not really.